Wu Ying, the latest non-violent criminal conviction in China for which the death penalty has been meted out, continues to divide public opinion. Surely this is, therefore, another opportune time to revisit the strengths and weaknesses of this punishment, particularly where no physical violence whatsoever has taken place. 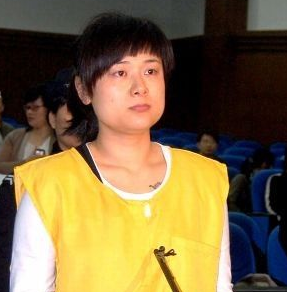 Wu, at one point China’s 6th richest woman, still only 30, now appears more likely than ever to face the death penalty after her appeal against financial fraud was rejected recently. It was Zhejiang Higher People’s Court that arrived at this decision on the grounds that Wu ‘brought huge losses to the nation and people with her severe crimes, and should therefore be severely punished’. The ourt found that Wu had swindled 390 million RMB from a total of 11 people by convincing them to invest in her companies with the assurance of high returns, but then subsequently used the money for personal consumption. Assuming Wu is guilty of this crime, the issue now is the degree of ‘fit’ between crime and punishment. Furthermore, is there ever any justification for the death penalty, no matter how serious the crime? It was Remy de Gourmont who stated that those who are in favour of the death penalty have more affinity with assassins than those who are not. Firstly, let’s kill the myth that opponents of the death penalty are often sentimentalists, motivated by compassion for those convicted of appalling crime. They may be, quite understandably, somewhat motivated by sympathy for others branded as criminals, who in more rational, more just, or kinder dispensations would not be criminals at all. They might also understand, although neither condone nor forgive, murder committed in the un-meditated grip of passion. Such attitudes are prompted by sympathy for the difficulties that can divert a life into making a hell for itself and others – or just for the frailties of the human spirit, so numerous and sometimes so final that they seem to be its destiny. But it does not follow that opposition to capital punishment arises from sympathy for people who commit serious crime. Cold, calculating murderers, for example, are contemptible scums, who kill not only their victims but a part of each member of their victims’ families. Serious embezzlement also exacts a life-time of abject misery for those cheated and their families. Absolutely nothing excuses it. Lock the door and through away the key! No matter the perceived gravity of the crime, killing the criminal is never the answer. Never. So, why exactly is capital punishment most definitely not the answer? Not in China nor Chile nor the Czech Republic! There are a multitude of reasons why, but one is paramount. It has nothing to do with respect for the criminal, or their rights, or the possible sanctity of his/her dangerous life. No, it has everything to do with respect for ourselves, and the kind of society we should strive to establish and maintain. The point is simple: we should refuse to lower ourselves to a level anywhere near the perpetrator’s own. Put simply, no one but no one deserves the death penalty, no matter how heinous the criminal act. For China to continue to carry out cold blood killing as a result of court order is to perpetuate the most barbaric, inhumane, societal values. China’s country image can ill-afford such an evil association. I’m glad that you finally nailed it in the penultimate paragraph, Mike.